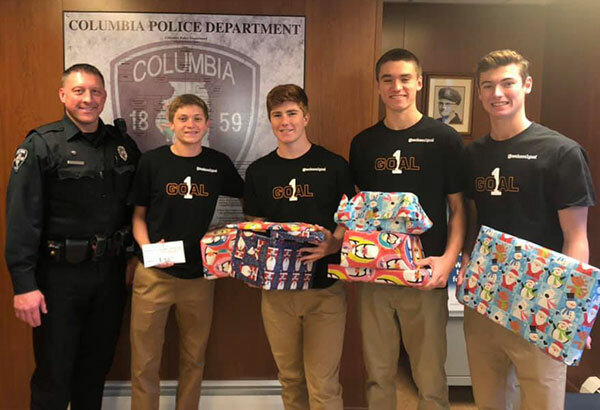 The Columbia school district and Columbia Police Department are teaming up once again to bring Christmas cheer to children in need. The organizations are doing that through the nonprofit Columbia Caring for Our Community Foundation. It only became official last year, but the effort is one the district and department have partnered on for years. “We felt like we needed to put a name on it just because with the number of families we were helping and our community getting larger, we needed to get the word out there,” said Kelly Landgraf, the foundation’s vice president. It does that by collecting donations of items and money for children in need. The money is then used to buy items on wish lists, which are distributed to the families. Candidates are identified through social workers in the school district and by asking Immaculate Conception School if they have any children in need. The whole process is confidential. One of the main ways the nonprofit raises funds is by taking sixth graders at Columbia Middle School caroling in several neighborhoods. They ask for donations for their cause during the singing excursions. Last year, the caroling raised more than $2,300. Overall, the organization collected about $7,000. Citizens also donated an abundance of gifts. “Last year I think it was just absolutely heartwarming to look at the gifts that were in the back room of the police department,” Landgraf, who also teaches sixth grade math at CMS, said. Columbia police officer Steve Patton, who is president of Columbia Caring for Our Community, estimated almost 300 gifts were donated. Those donations, both monetary and gifts, helped 18 local families. Landgraf and Patton said those numbers come after years of hard work have helped the organization grow, primarily as it relates to donations. Even with that growth, Patton and Landgraf said they want the organization to expand by being able to operate throughout the year. It currently helps children mainly during the Christmas season, though if it has leftover money it will help children year-round. “I would like to have more money saved for next year so we can build that account up and help people year round,” Patton said. Monetary donations are still needed for this year, as the foundation has the list of wants and needs for the families it plans to help this year. This year, the foundation has already received donations of $270 from CMS Girls on the Run and $400 from a student-led organization called 1 Goal. Landgraf said she does not anticipate having any problems with raising enough money, from individuals, organizations or businesses. Patton and Landgraf said part of the reason they get so many donations is the local focus of the nonprofit. “We’re a small community, and this helps residents in our community,” Patton noted. Donations may be dropped off at the Columbia Police Department or the Columbia School District Office inside Parkview Elementary. Cash or checks are acceptable. Write checks to Columbia Caring for Our Community. For more information, contact Patton at 281-5151 or 50@columbiaillinois.com or Landgraf at 281-4993 or landgraf.kelly@columbia4.org. 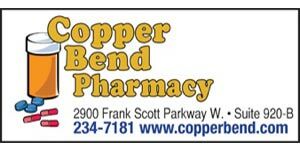 Readers may also contact Columbia Police Chief Jerry Paul at 281-5151 or 35@columbiaillinois.com or Columbia Assistant Superintendent Beth Horner at 281-4772 or horner.beth@columbia4.org.